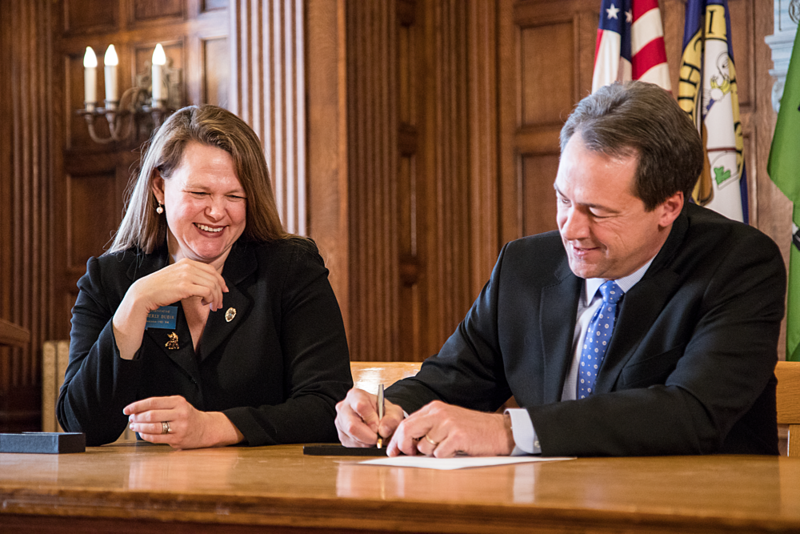 State Rep. Kimberly Dudik on Monday announced her candidacy for Montana attorney general, a statewide seat that opens in 2020 when sitting AG Tim Fox is termed out after eight years in office. Dudik, a Missoula attorney and small-business owner starting her seventh year in the Legislature, said criminal justice reform and public safety stand high on her radar. Dudik said others from both of Montana’s major political parties have encouraged her to continue that work by seeking statewide office. While the campaign may be months away, Dudik unveiled her priorities with Monday’s announcement, including a Child Justice Initiative, a Senior Protection Initiative and a Veterans Justice Initiative. Her platform also includes an initiative to end substance abuse, establish a public integrity division, and an office for Native American affairs. After completing six years in the Legislature, Dudik said she’s proud of the improvements made in public safety. She said her record working across the aisle to reform government has led to significant improvements. Dudik said she worked closely with Fox in achieving several statewide goals. Dudik said improvements are still needed for Montana’s children, seniors and veterans seeking justice. Focusing on the underlying causes of criminal behavior, such as substance abuse and mental health disorders, is also needed.